Yet again, a last minute call for a guest DJ spot found me in the situation of doing a set on unfamiliar DJ equipment. This time it was the Serato equipped Pioneer DJM-S9 mixer. 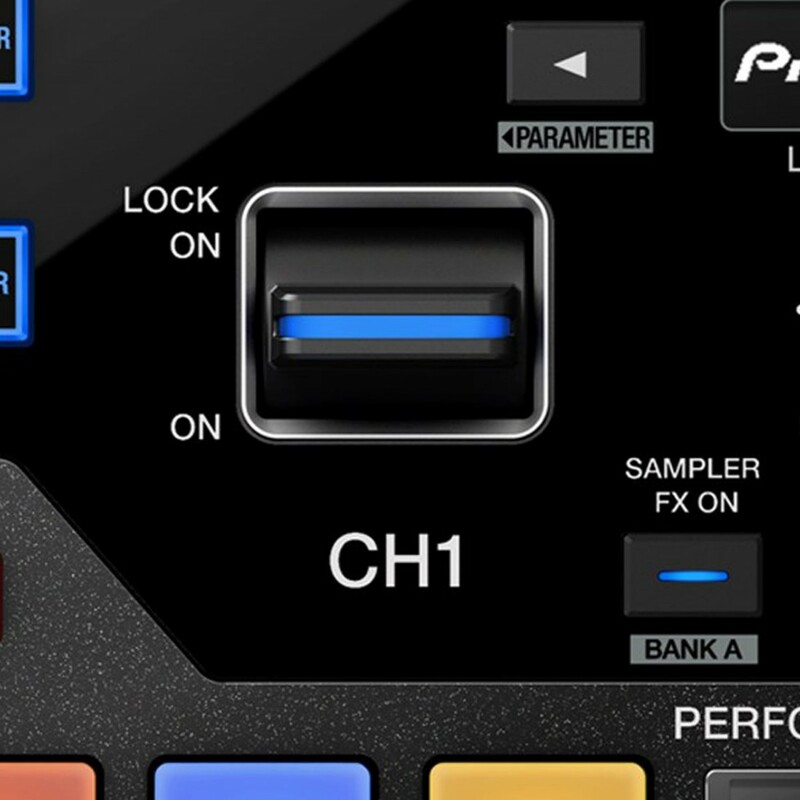 The Pioneer DJM-S9 is very similar to the Rane 72 mixer (minus the fancy waveform screen found on the Rane). As much as I hate to admit it (because I’m not a fan of Pioneer’s customer service or product warranty-if their product is defective, they don’t replace it), the DJM-S9 was a lot more intuitive and easy to navigate compared to the Rane 72, especially for a person like myself whom had never touched one until it was time to actually use it on a gig. Most notably on the DJM-S9 are the flip switch special FX that enable you to backspin and vinyl brake when you want to drastically change tempos or genres of music without sounding like a train wreck. Though it must be noted that you have to remember to flip the switch back down after getting your desired effect or you may risk 2 seconds of pause on your dance floor as people stop mid-grind and stare at you for interrupting the soundtrack to them getting their freak on. The DJM-S9 has 8 cue point pads per channel and a very bare bones EQ. While the beat loop functions are probably the least intuitive feature on the mixer, the feature works well enough once you get going (a little confusing on how to get out of a loop though when you’re not familiar with the mixer). If I were to give advice to someone that had to use the mixer on a gig for the first time without being familiar, that advice would be to stick to the basics and try not to get too fancy for fear of jacking up your dance floor. The cue point pads have other functions that are accessed via buttons located above the LED meter. 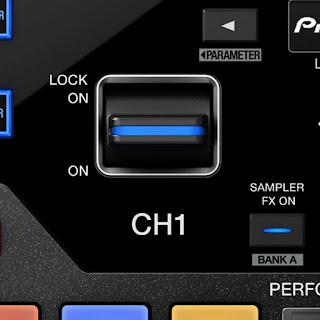 These functions include Roll (various drum rolls), Slicer (which chops up the beats), and Sampler (which plays whatever pre-loaded samples you have in Serato). The DJM-S9 is promoted as a “performance mixer”-meaning that live remixing and live tap pad drumming is encouraged. I wouldn’t really recommend this for a beginner DJ, especially if you are the type that is easily overwhelmed by a bunch of bells, whistles, and product manual reading. 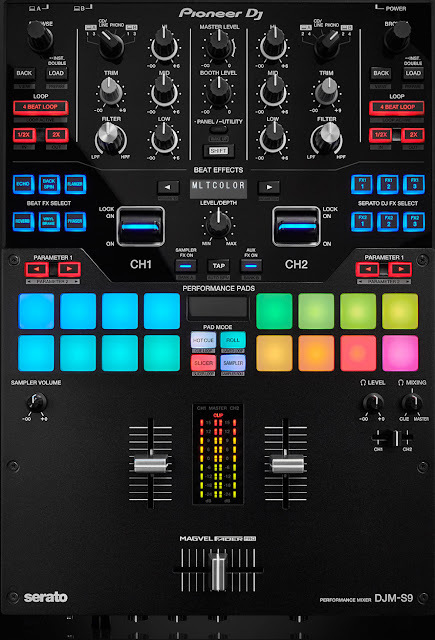 At a price point of $1,699.00 USD, I doubt that most beginner DJs would take two glances at this mixer anyway, but If you have that kind of money laying around and have a thing for Trial by Fire DJ-ing, have at it. Later and don’t be a hater.